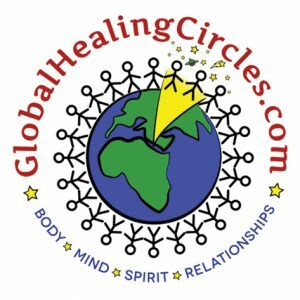 Global Healing Circles are intended to assist people in experiencing the healing of the body, mind and spirit they desire. These Healing Circles are beautiful, sacred experiences in which the healing energies of joy, peace and unconditional love are shared with participants in a group environment. They most commonly begin with a meal as all become acquainted and connected, they transition into a group setting in which all are welcome to ask whatever questions they desire relative to their lives, Erik shares insights he senses and/or perceives in response and the topics and responses generally represent helpful insights to most of those participating in the circle. When this aspect of the event is complete there is a brief break followed by the group healing experience Erik leads, often accompanied by a gently guided mediation; this energy experience of highest vibrations allows each person to receive what is in optimal alignment with them. Erik has done over 60 of these in person events throughout the US and abroad in recent years, these events can be hosted most anywhere in the world that is agreed upon by Erik and another who chooses to host such an event. The exchange for these events is generally $100 per person or less at Dreams or in close proximity to Erik, the amount will be greater based upon the location of the event to accommodate travel time and expenses.